April Fool’s Day is upon us, and many games are celebrating the joyous occasion in wacky ways. As numerous game developers partake in jolly festivities, Ubisoft takes it one step further. For April Fool’s Day, Rainbow Six Siege is hosting a limited time toy soldiers event. The new game mode is live now alongside the new Rainbow is Magic premium packs. Set on Air Cute One, a miniature version of the Presidential Plane map, Special Hostage is an oddly disturbing take on the classic Hostage game mode. 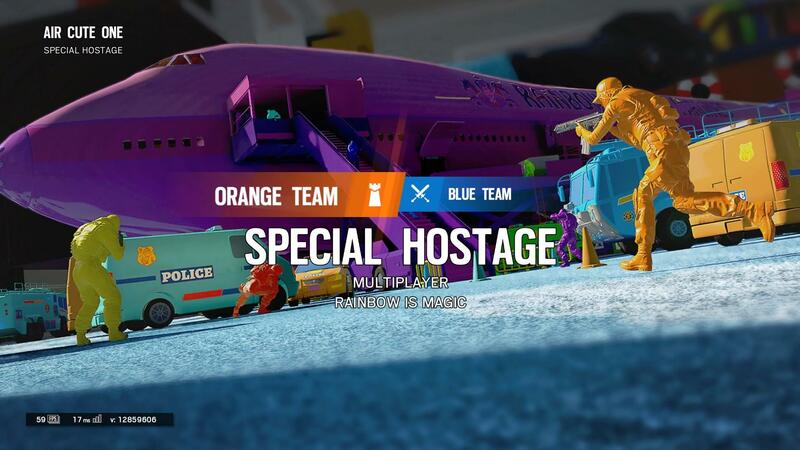 Available for a limited time, the new game mode functions just like hostage, but completely changes the color scheme. Everything on the map ranging from passenger seats to walls is covered in bright and vibrant colors. Bullets are replaced with paintballs and the hostage is a giant teddy bear. Furthermore, the voices of both operators and the announcer have been altered. Operators speak their normal voice lines, but with a squeaky and high-pitched twist. Revamped announcer voice lines and a jolly soundtrack transform the game into a kid’s cartoon. Lastly, the MVP screen showcases the winning players bouncing up and down as toy soldiers. Although the toy solider uniforms and headgears can’t be obtained for normal game modes, there are some other cosmetics that can be unlocked. 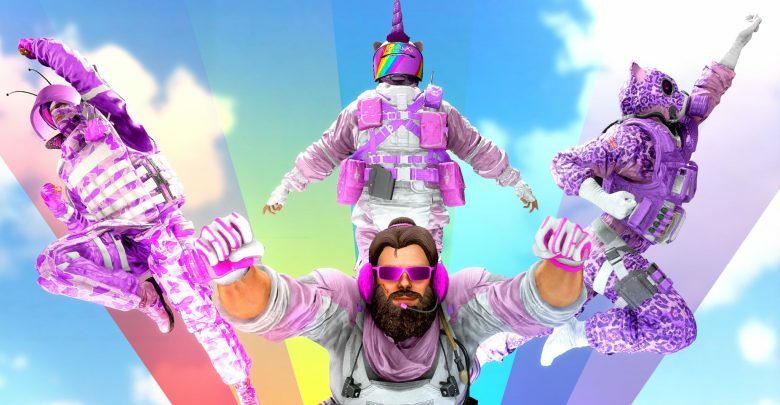 The Rainbow is Magic premium packs contain a total of 17 zany uniforms, headgears, weapon skins and charms. All players are given one free pack, and more can be purchased for R6 Credits. Each individual pack costs 300 R6 Credits, and as always, there are no duplicates within the packs. Additional packs can be obtained by completing Ubisoft Club challenges. When assets of this game mode leaked a month ago, I simply refused to believe it. For a game as serious as Rainbow Six Siege, an event like this seems impossible. However, Ubisoft has put a lot of effort into this event to make this April Fool’s Day a memorable one. The Rainbow is Magic event is live now and runs until April 8th.